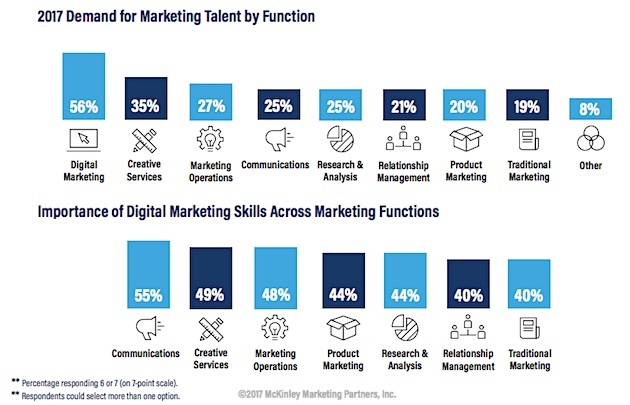 In 2017, marketers with digital skills, especially those with digital advertising and content expertise, are the most in demand by employers, according to research from McKinley Marketing Partners. The report was based on data from a survey conducted in November and December 2016 among 314 marketing professionals who work in a wide range of industries. 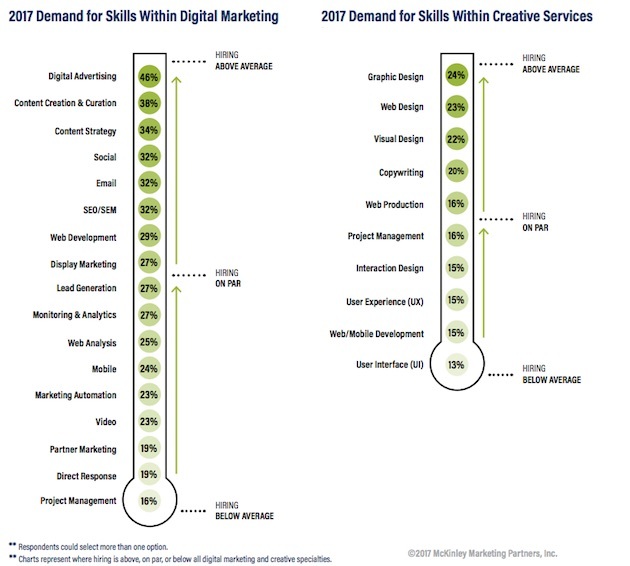 Some 56% of respondents whose companies are looking to hire in 2017 plan to look for staff with digital marketing expertise; 35% plan to look for creative services expertise; and 27% plan to look for marketing operations expertise. Some 24% of digital marketers surveyed say they at least occasionally search for new job opportunities; 27% of creative services professionals surveyed say they at least occasionally search for new job opportunities. 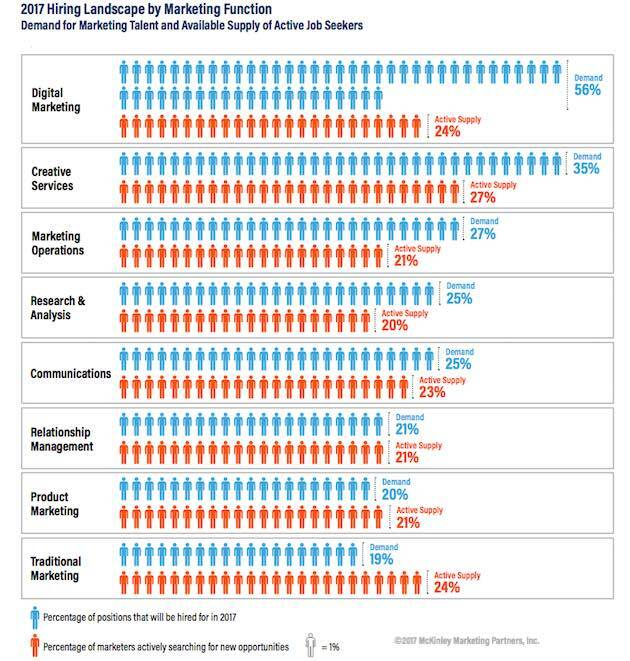 The most in-demand digital marketing areas of expertise with employers are digital advertising, content creation/curation, content strategy, social media, email, and SEO. The most in-demand creative services areas of expertise with employers are graphic design, Web design, and visual design. About the research: The report was based on data from a survey conducted in November and December 2016 of 314 marketing professionals across a wide range of industries.